The Kuma 7" is a real barbers dream leaving the toughest of hair dead on the floor. 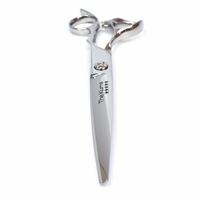 The ultra-fine convex and finely honed blade edges makes the Matakki Kuma barber scissor an absolute dream to work with. 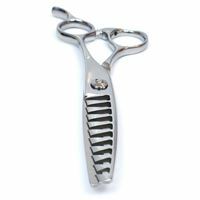 Designed with a longer body and slightly thicker blades to provide powerful cutting. The Akechi 6" is a texturising chunking scissor that creates dramatic effects, chunk, chop and chip your way to a finished masterpiece that's unique. 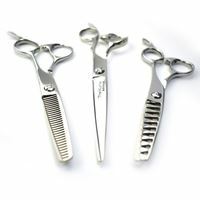 Hand made with premium high-carbon Japanese ATS 314 forged steel, the Akechi is designed to take out approximately 45/55% of the hair. Exclusive Matakki designed teeth that have micro serrations to provide stability and control throughout the cut. 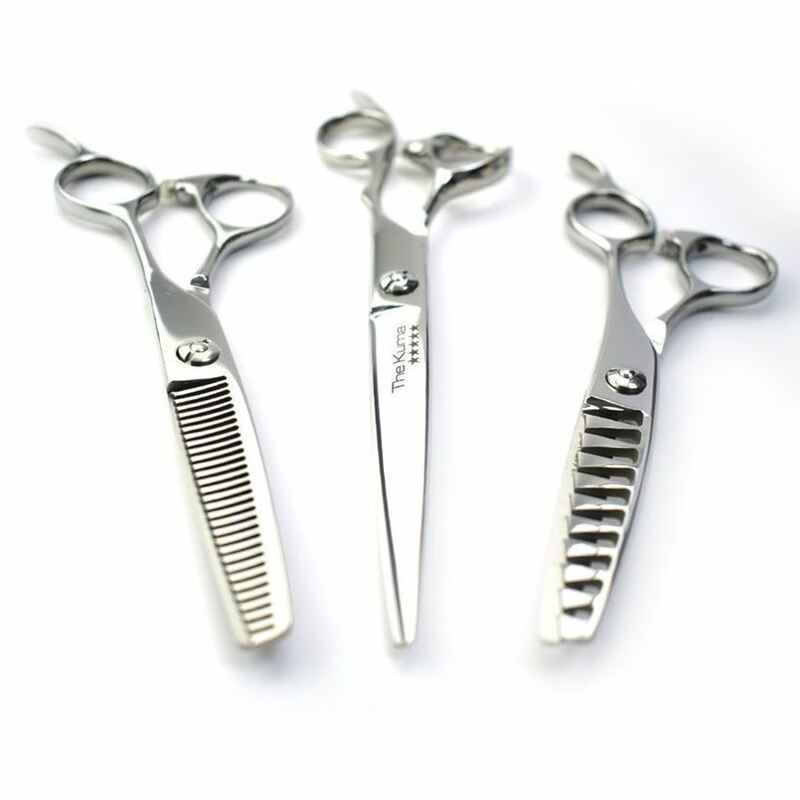 The Barber 60 6" thinning scissors are hand produced from Japanese High Carbon Steel, making the edges super sharp, perfect for thinning and blending hair effortlessly. Quicky and easily remove weight without adding and texture and also blend your sections seamlessly.